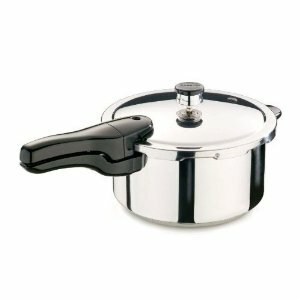 The Best Pressure Cooker Blog keeps you up-to-date with the latest articles and additions to best-pressure-cooker.com. You can subscribe using the orange RSS button under the left navigation menu. To subscribe to this blog is easy. No e-mail necessary, just right-click on the orange RSS button (see bottom buttons to the left) and then paste the URL into your RSS reader. Continue reading "Deni Electric Pressure Cooker Review"
Continue reading "Best Pressure Cooker Review and Recipes"
Need to know exact times for pressure cooking? we have pressure cooker timing chart to help your cooking into perfection. Continue reading "Pressure Cooker Timing Chart"
Basic recipe of pressure cooker stew. It is a beef stew pressure cooker recipe with vegetable, home made beef stew using pressure cooker. Continue reading "Pressure Cooker Stew"
Pressure Cooker Ribs - One of the best meals that you can make is short ribs that are braised to become very tender.Short ribs are delicious because they usually have a lot of fat and the concern of many people is how to get rid of the fat. Take a look on how to cook ribs using wolgang puck pressure cooker. Continue reading "Pressure Cooker Ribs"
Free Pressure Cooker Chicken Recipe - get to know step by step how to cook chicken with bell pepper in pressure cooker. Continue reading "Pressure Cooker Chicken Recipe"
we have 2 different pressure cooker pot roast recipes to meet your taste. Continue reading "Pressure Cooker Pot Roast Recipe"
Continue reading "Pressure Cooker Pork Chops Recipe"
Continue reading "Pressure Cooking Beans | Basic Recipe"
Home pressure canning instructions for canning vegetables, chicken, meats and seafood. Continue reading "Pressure Canning Instructions"
Continue reading "Rapida Pressure Cooker"
For our comparison we have chosen the Presto 4 quart stainless steel pressure cooker and the Fagor Splendid 4 quart pressure cooker. Continue reading "4 Quart Stainless Steel Pressure Cooker"
Looking for quick, easy, and tasty brown rice recipes to try? Do you have a pressure cooker? If you answered yes to both of these questions, then these three brown rice pressure cooker recipes may interest you. Continue reading "Brown Rice Pressure Cooker Recipes"
Cuisinart Pressure Cooker review and product info. Cuisinart CPC-600 pressure cooker is best buy for electric pressure cooker and features that makes this is an easy to use product even for beginner. 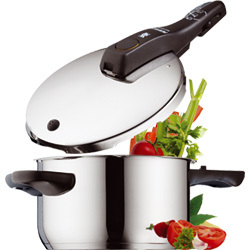 Continue reading "Cuisinart Pressure Cooker"